80 metres high, 120 metres long and 80 metres wide ... the ITER Tokamak Complex. 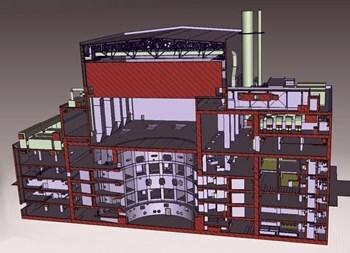 The Tokamak will sit 13 metres below ground level in the central Tokamak Building. A major contract has been signed by the European Domestic Agency, Fusion for Energy, for the construction of the Tokamak Complex—a 360,000-tonne edifice that comprises the Tokamak, Diagnostic and Tritium buildings. 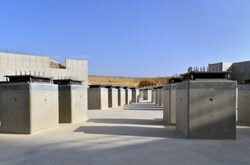 A French-Spanish consortium, VFR, has won the five-and-a-half year, EUR 300 million contract that also includes the construction of the ITER Assembly Building; the radio frequency heating building; areas for heating, ventilation and air conditioning; a cleaning facility and site services buildings; the cryoplant compressor and coldbox building; the control buildings; the fast discharge and switching network resistor building; and three bridges. This is a milestone of significant importance for the ITER Project and for Europe, which is responsible for the construction of 39 scientific buildings and dedicated areas on the ITER platform. By year-end 2012, Fusion for Energy had awarded a total of EUR 1.8 billion in contracts for ITER, representing approximately 40 percent of the European contribution to the project. 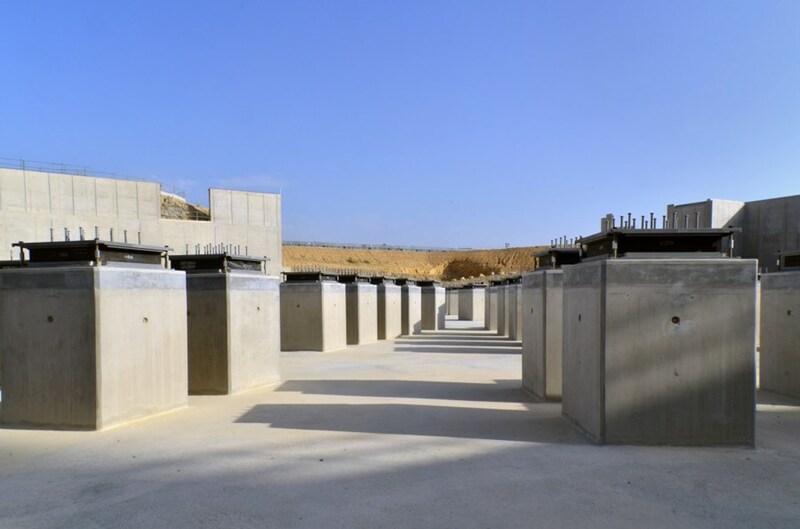 As formwork for the Tokamak Complex basemat begins, the 493 seismic pads in the Seismic Pit will progressively disappear from sight. 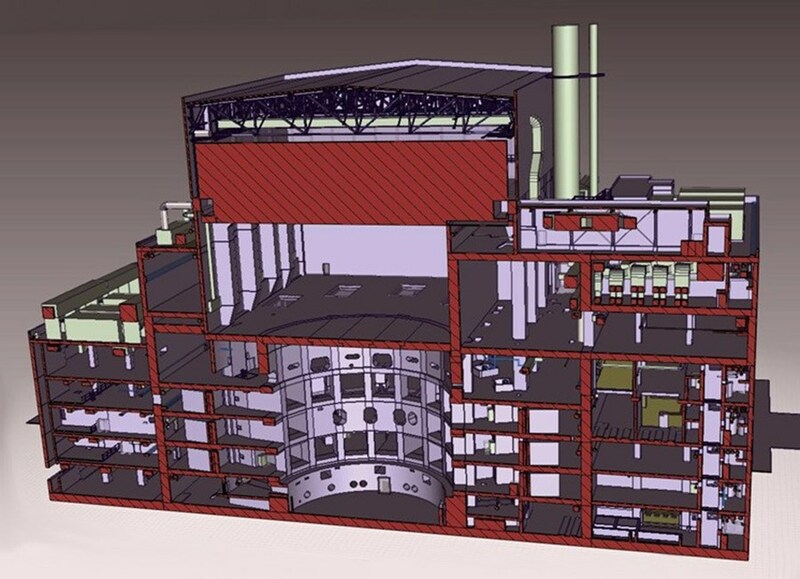 The Tokamak Complex will be 80 metres high, 120 metres long and 80 metres wide. Over 600 people will be involved in the construction work, which will require some 150,000 m3 of concrete (plus 16,000 tonnes of rebar) and 7,500 tonnes of steel for the building structures. In the coming weeks, work will begin on the formwork for the Complex basemat. Concrete pouring is scheduled to be carried out between April and December 2013. The Tokamak Complex will be completed in time for assembly operations to begin in 2016. The VFR consortium groups French companies VINCI Construction Grands Projets, Razel-Bec, Dodin Campenon Bernard, Campenon Bernard Sud-Est, GTM Sud and Chantiers Modernes Sud and the Spanish firm Ferrovial Agroman. Read more about this landmark contract on the F4E website.